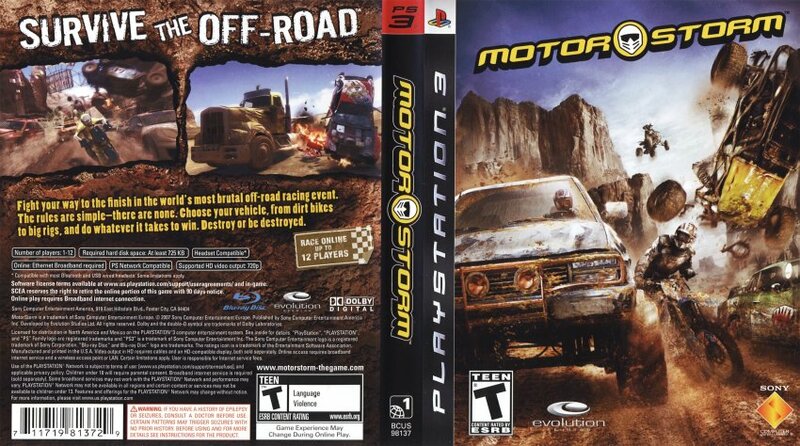 Using the high res models that myself and six other Evo artists had built for MotorStorm’s E3 2005 announcement movie, I developed four briefs to capture the essence of the game that could be used as box, manual, point-of-sale or inlay art. These were outsourced due to our development workload and I acted as first point of contact for Evo, providing direction, feedback and references where necessary. Two were used for the PAL (EU/Aus/NZ) box/manual art and another two for the Japanese/Korean equivalents, whilst SCEA decided to go a different route for the US cover. Myself and another artist handled a fifth brief in-house when an outsourcer failed to deliver a high enough quality asset after several weeks of work. Know as ‘The Last Supper’, it showed a bunch of MotorStormers gatecrashing a pristine white environment and ruining it. Whilst very much in opposition to my own environmental beliefs, this was to reflect the game’s core concept of turning Monument Valley (a protected National Park and part of the Navajo Nation) into an off-road racing/music festival.